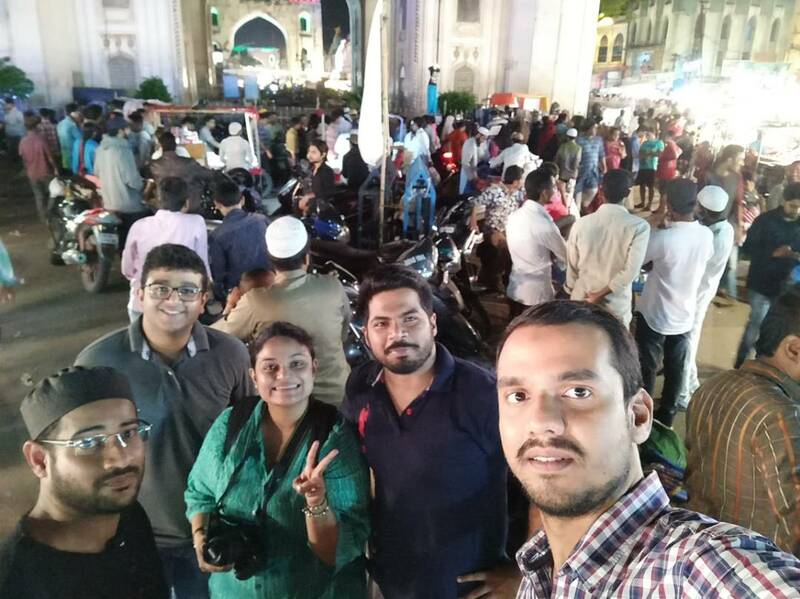 Hyderabad truly surprised me with its amazing food culture and so, I had to do a full fledged Hyderabad food trail! Once I was done going to the Golconda Fort and seeing the Charminar; it was all I wanted to do! I went to Hyderabad during the holy month of Ramadan, so this meant that in the evenings the old city streets were alive and kicking. There were so many people doing their Eid shopping, it was quite chaotic. Moving from one place to another was quite a task; we spent most of our time trying to use Ola/Uber/autorickshaws combined with a bit of walking. Some places even had the food sold out by the time we got there! However, feeling the festive atmosphere amongst the bustling crowd was not only interesting; I was quite amazed by the level of activity so late into the night. 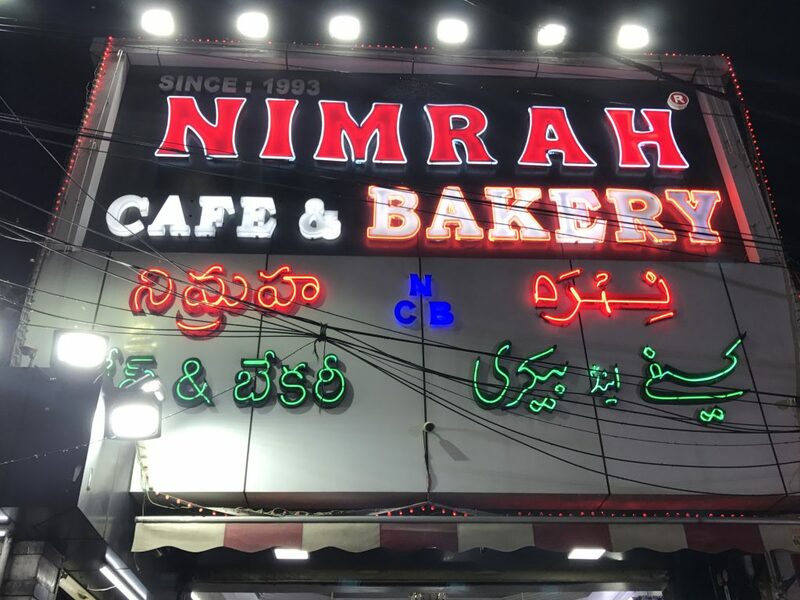 My guides were two locals who were brought up in that part of the city; they knew the place inside out, so I am incredibly proud of this curation of the Hyderabad food trail. My only advice to you before I start my list is: Mind your belongings and preferably walk/travel in a group. Trying haleem is the first thing you need to do on this Hyderabad food trail. Though I agree it’s not the prettiest of foods, haleem is a tender semi solid meat (mutton/beef mostly) made with wheat in a wholesome mixture. This is dressed in cashews and fried onions. It’s a very wholesome dish and is soul-satisfying. 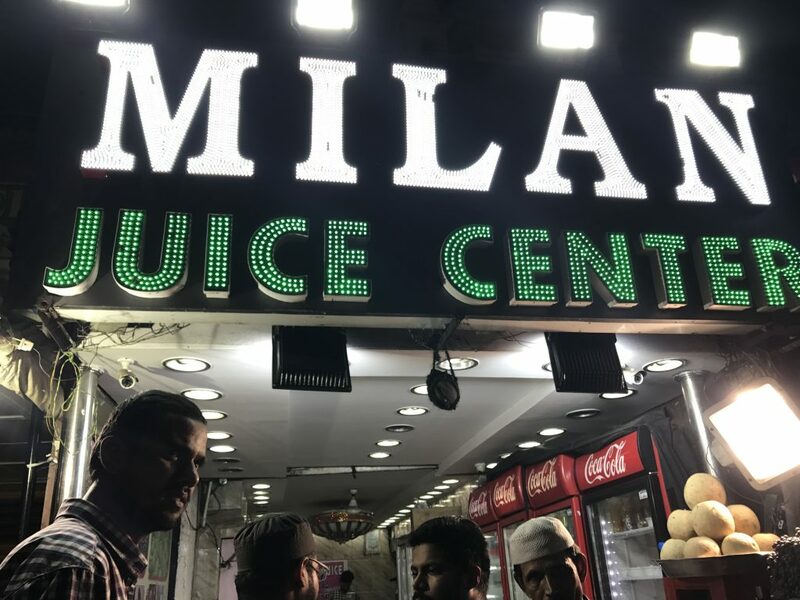 The good thing about Shahi Ghouse is that they have multiple branches all over the city; so you can definitely find one next to your hotel. The next stop on this Hyderabad food trail was Chicha’s. This place is actually apparently owned by the Nawab (King) of Hyderabad and has some delicious kebabs. You have to try the 3 dishes mentioned above. 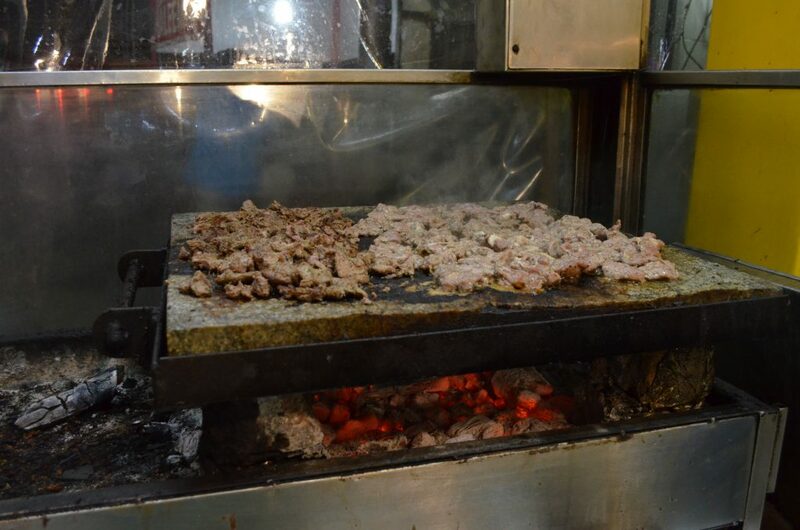 ‘Pathar ka gosht’ is a mutton dish where the meat is quite literally grilled on stones. The result is : flavourful, tender meat morsels that just evaporate in your mouth. The mutton shikampur is a delicious patty that is very soft and delicious. 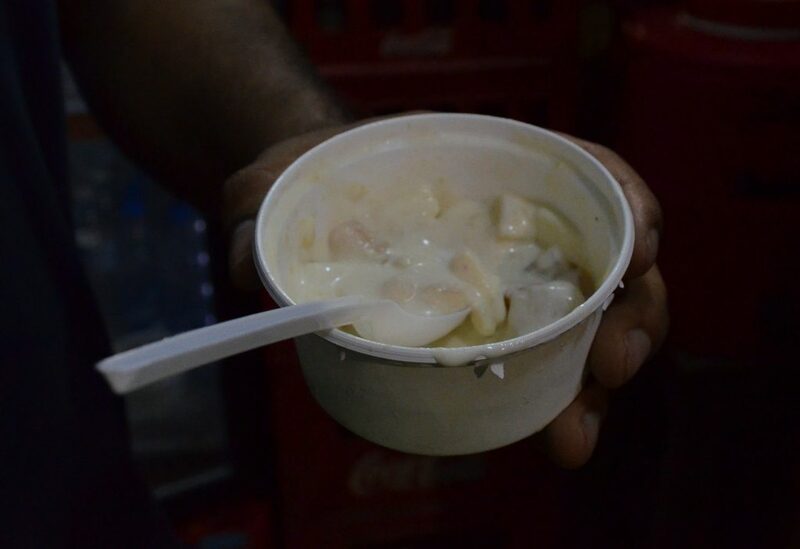 The almond kund is a very hearty dessert, that has a custard-y feel. It’s very rich and fragrant. Fo’real though. The beef and mutton kebabs are brilliantly made. It’s right next door to Chicha’s so save your appetite for more! Bademiyan kebabs from Aneesha Rai on Vimeo. 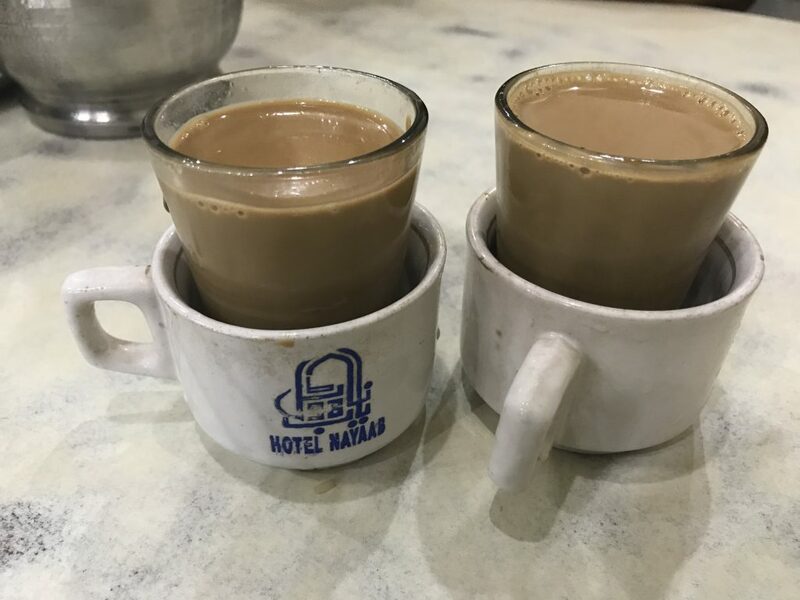 I love my chai, but I really don’t think I’ve had it any better than at Hotel Nayaab. The tea was made of thick, almost condensed milk and had jaggery undertones. One of the best cups of tea I’ve ever had; possibly in my entire lifetime! Do not miss this! 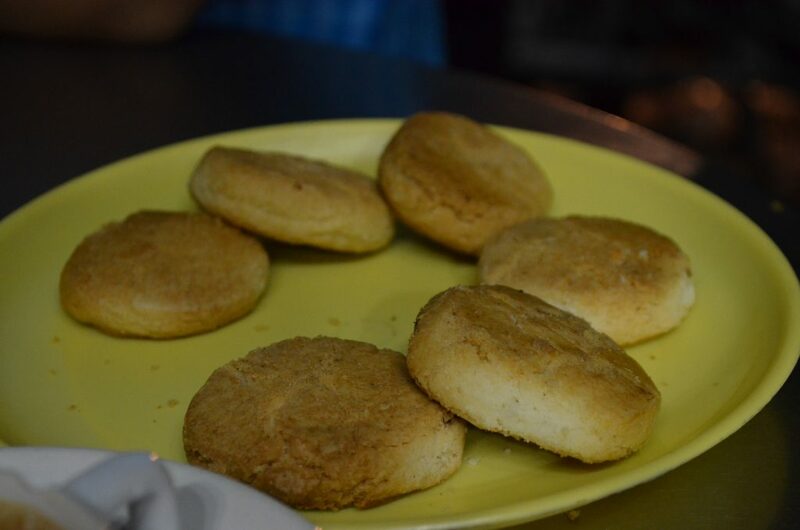 Hyderabad is super famous for these salty/buttery biscuits that seem to go well with an ‘Irani chai’. I couldn’t quite spot the difference between a regular Indian chai or Irani chai as they tasted pretty much the same. The Irani chai was exceedingly sweet though. Worth a visit for the biscuits for sure. It’s further down the road from Hotel Nayaab. It’s very close to the Charminar. Unfortunately we missed this as the biryani was sold out by the time we got there. However, I’ve received plenty of recommendations from multiple friends that this is THE PLACE for authentic Hyderabadi biryani. Another alternative with pretty good biryani is a place called Bawarchi, but that’s in a different part of town. Some of you must’ve raised your eyebrows at this. Fruit custard. Really? And I’m gonna say.. yuuuuup. The fruit custard here is rich and delicious and definitely worth a try. You may also consider trying ‘paaya’ (mutton soup) at Hotel Nayaab. When you walk on the streets next to the Charminar, you will see vendors sell fritters in a yoghurt based soup called ‘pakora curry’. I skipped that because I like the West Indian/Maharashtrian version much better. 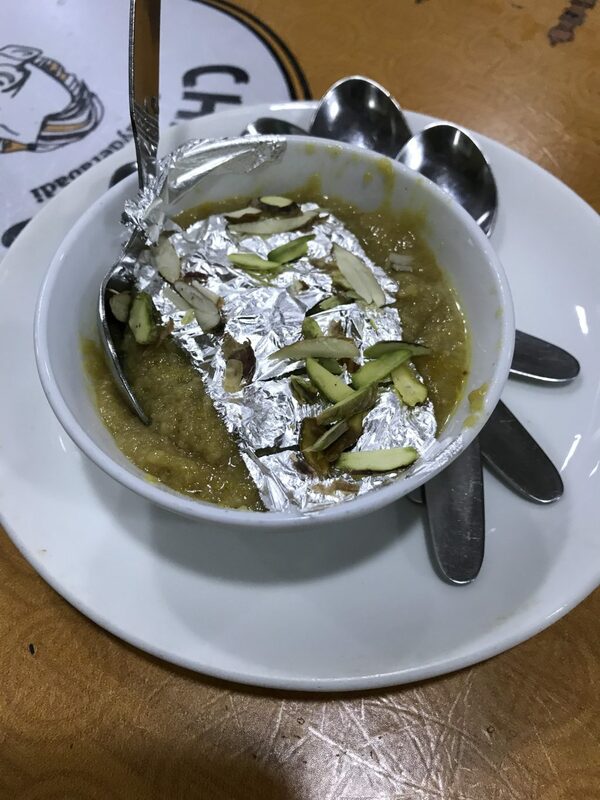 Also, the double ka meetha from Hotel Bawarchi is quite delicious as well. Hope this trail was useful! If you’re looking for a place to stay in Hyderabad, check this out. Let me know any questions you have in the comments below! Ta! Hyderabad is a food lover’s paradise. My favourites are: haleem, biryani and the chai we get there, especially the kesar chai/ saffron tea. This post made me drool all over again. This place is a foodie’s delight. There are so many things to try out. I love eating out a lot but end up suffering from the traveler’s tummy. This is a great list of foodie joints in Hyderabad. The best part is that you have so many different things covered, including biryani, biscuits, juice and kababs. Must make a note of all these for future. Loved the food photos, they are making me super hungry! 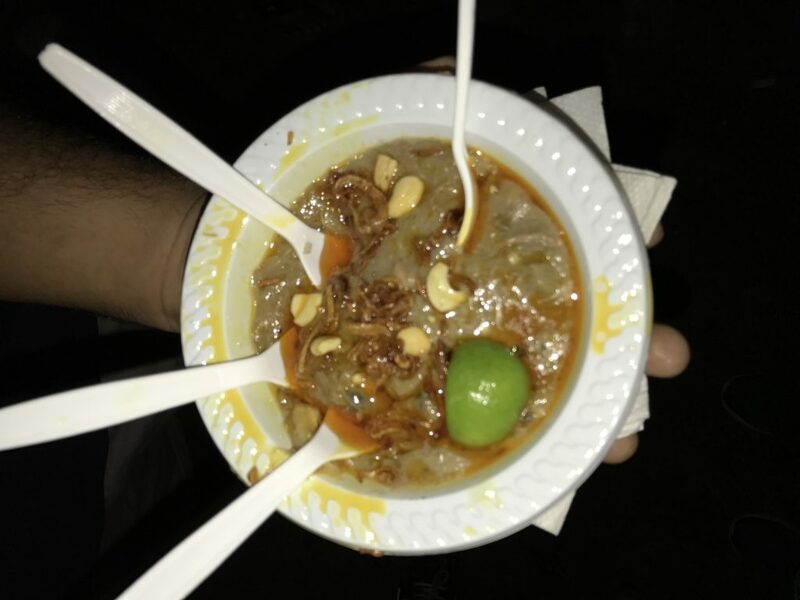 Would love to visit Hyderabad some day (never had the chance to when i lived in India) and taste that famous Haleem! I love Hyderabadi food and always eat something new whenever I am there. Nice list of places.
. And so well written! Loved the post! Awesome post! i don’t think I have seen that much silver foil before – usually it’s gold foil that is all the rage!What a detailed and informative post, thanks for sharing! Hyderabad is a delight for food lovers. You have covered so much in your post. I think I will love that chai and biscuits and my husband will hover over all those nonveg dishes. Thanks for this compiled up list. Trying local cuisines is one of my favorite things about travel. The fruit custard sounds delish and so does the Saffron Chai Tea. Ah! Hyderabad has one of the best cuisines in India! That said, during Ramadan it may not be for me, as most delicacies are not vegetarian! However Hyderabadi Veg dum biriyani, the Osmania biscuits, and also the Shahi Tukda for dessert is just too divine!!! I love that top photo! I feel like that encapsulates the whole experience of this city in some way. Either way, I appreciated reading through the post! I don’t know if I’d have the guts to travel in the night to eat away.